Walt Disney World celebrated the largest expansion in Magic Kingdom history with a grand opening for portions of its "new" Fantasyland this morning (6th December 2012). 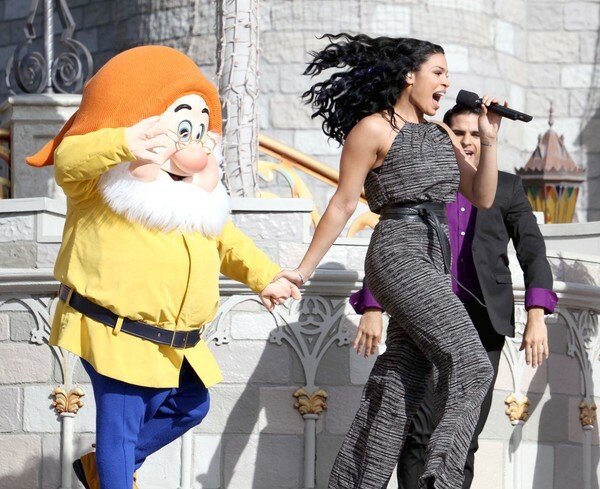 Former "American Idol" champion Jordin Sparks and Ginnifer Goodwin, star of ABC's "Once Upon a Time" TV series, ceremoniously cut the ribbon with golden scissors to open the area officially. "The castles here are far more beautiful than what we have on 'Once Upon a Time,'" said Goodwin, who plays Snow White on the Disney-owned network. Later, in a grand-opening ceremony in front of Cinderella Castle, Sparks sang a medley of Disney songs related to the new attractions. She was flanked by dancers, dwarfs, Dumbo and a selection of princesses. After a smattering of fireworks, a large red and gold banner reading "Welcome to New Fantasyland" was unfurled from the castle. The attractions to open in the latest phase of the $425-million project include the Under the Sea ride, featuring dozens of Disney's famed audio-animatronics; Enchanted Tales With Belle, an interaction with the lead female character from "Beauty and the Beast"; Be Our Guest Restaurant, serving French cuisine; and Gaston's Tavern, a small counter-serve eatery. Guests have previewed those stops for several weeks. They are built in the general vicinity of the old 20,000 Leagues Under the Sea, an attraction that closed in 1994. Chris Beatty, creative director of the expansion for Walt Disney Imagineering, said inspiration for the new area came from an old source: Walt Disney, who wanted folks visiting Disneyland to go on "journeys with animated characters." Be Our Guest transports visitors into the "Beauty and the Beast" ballroom, Beatty said. "It is so much fun to watch people walk in. … They feel like they are in Beast's Castle," he said. "I think the restaurants are the biggest strength," said Matt Hochberg, co-host of the "WDW Today" podcast. 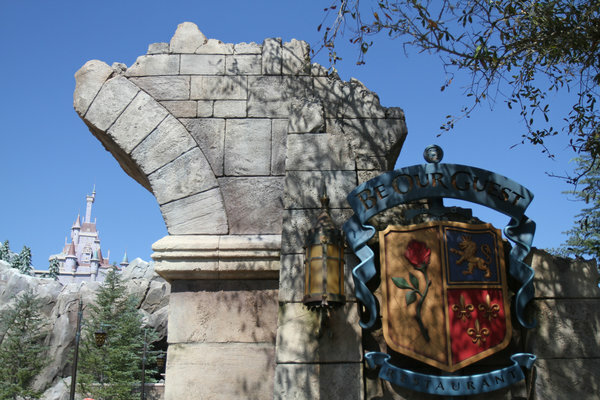 "You can definitely see inside Be Our Guest and Gaston's Tavern that a lot of detail has gone into it, and that's really stuck out. "It's hard not to compare it to [the Wizarding World of Harry] Potter land at Universal [Orlando], and it's certainly not as immersive as that," he said. "It's not complete yet so you can't really render judgment." Fantasyland is the first major addition at Disney World since Universal opened Potter in 2010. Construction is expected to continue through 2014. More Fantasyland additions are on the way. 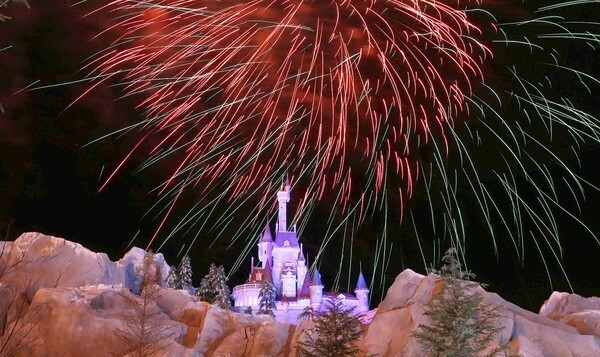 Next year, Princess Fairytale Hall will house royal meet-and-greets with guests, and the Seven Dwarfs Mine Train roller coaster is scheduled to open in 2014. This summer saw the opening of Storybook Circus, a new subset of Fantasyland built on the former site of Mickey's Toontown Fair. 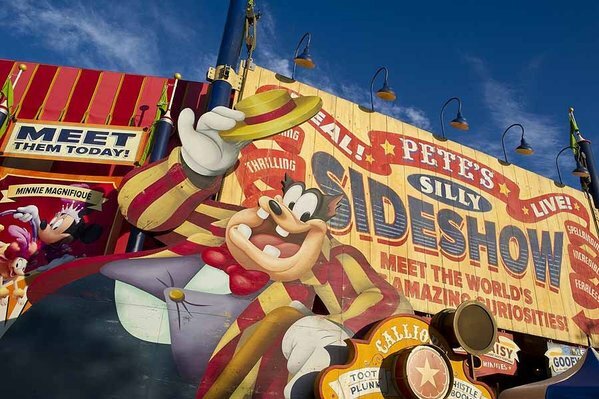 Rides there include a rethemed Barnstormer roller coaster and Dumbo the Flying Elephant, which now features two spinning carousels and an indoor queue that doubles as a playground. A water-play area, stores, remodeled train station and character meet-and-greet area. 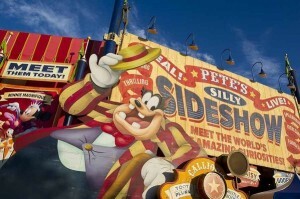 "Old" Fantasyland attractions remain at Magic Kingdom, including "it's a small world," Peter Pan's Flight, the Many Adventures of Winnie the Pooh, Prince Charming Regal Carrousel, Mad Tea Party and Cinderella Castle. 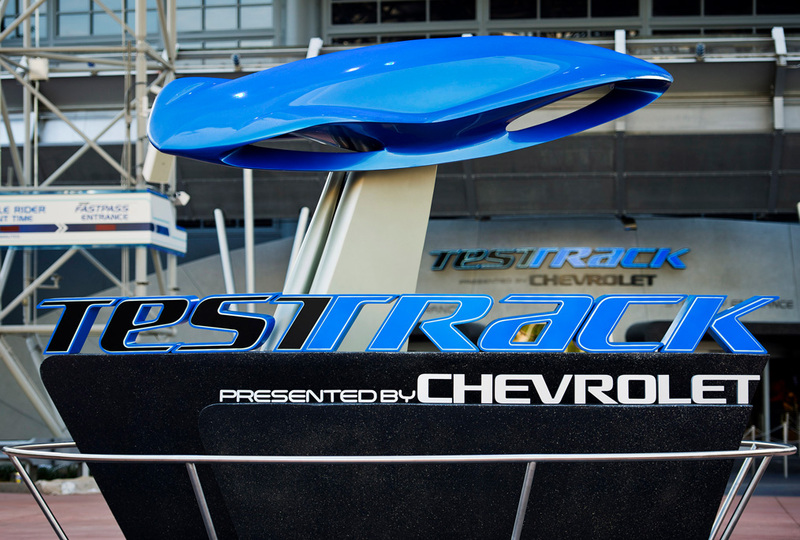 In addition to Fantasyland openings, Disney also reopened a remodeled version of Epcot's Test Track, which had been closed since April. In the new version, park guests design cars using variables such as capability, efficiency, responsiveness and power. Those creations are matched against the attraction's SimCar, which takes riders through performance tests. 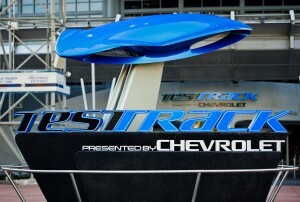 The long, high-speed stretch that bursts from the Test Track building remains from the original attraction.